Mario, his arguably overlooked brother Luigi and how to squash koopas make for an essential part of kids’ retro pop culture education. 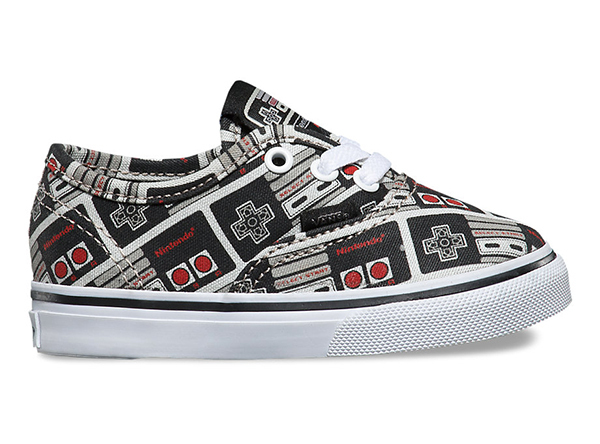 Vans believes education starts young, so it’s teamed up with Nintendo on a range of old school Nintendo game inspired sneakers. We mean it in the most affectionate way when we compare the high top sneakers ($54) to a mullet – they’re business on top and party at the sides. 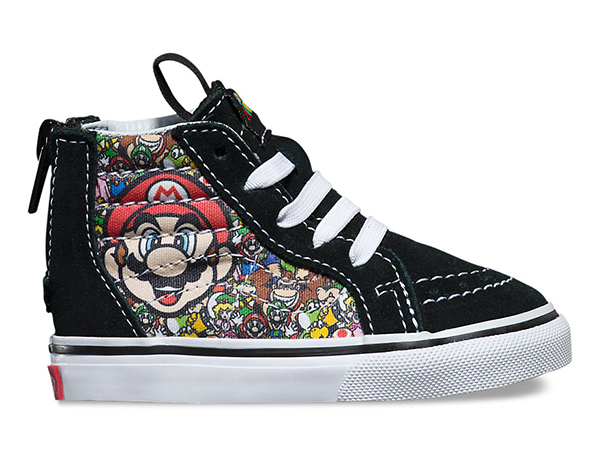 These kicks look all black from the front, but from the sides there are panels printed with every Mario World character you can think of: Donkey Kong, Yoshi, Princess Peach as well as the brothers Mario themselves. Although they’ve got laces, that’s just for looks; the real opening is a quick zip up the back of the shoe. Slip-ons ($50) come in grey canvas with a rainbow of Yoshis doing Yoshi things – eating apples, falling on their faces. There’s also a pair of slip-ons with the full cast of characters, finished with black faux-leather piping at the opening. 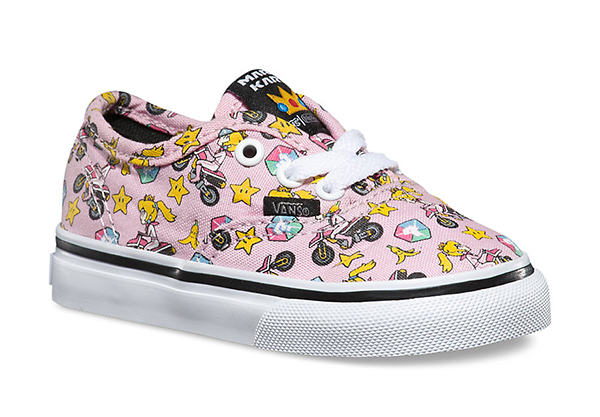 Traditional lace-up Vans ($50) come in baby pink with Princess Peach riding a scooter amid invincibility stars, pony tail flapping behind her. For something neutral, there’s also a print of the old school 80s Nintendo controller with its black cross and red A and B buttons – only eight buttons in total. Those were the days. According to Instagram, Platypus shoes will be stocking the Vans x Nintendo collection.